One of the biggest fears for modern women, breast cancer incidence continues to increase putting a huge strain on not just the general public, but the NHS also. As more women are finding they have cancerous breast tissue at younger ages, the need for screening has never been so clear. Doctors have spent a long time determining the best ways of detecting breast cancer early and have found that there are two ways to tackle it. 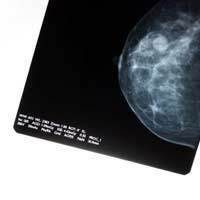 A mammogram is a way of seeing the tissues within the breast. It is now a routine screening procedure for women over the age of 50 and involves the breast tissue being placed between two metal plates and an x-ray like image of the inside of the breast is taken. From this image and abnormal growths can be seen and the location of it approximated. Initially this test was not offered by the NHS and had to be purchased privately by the person unless they fit certain criteria but as it has proved its place in the fight against breast cancer it can now be offered in many NHS hospitals. There are still some criteria to fit and women can ask their doctor whether they do fit into the category of women that this test is for, but it can nevertheless be offered to some. For those who are not offered it, it may still be paid for by the individual if they wish and this should be discussed with their doctor. The UK now has a very good screening programme for breast cancer. Unfortunately this service can only be offered to women over the age of 50. Some women may feel like they wish to have their breast checked at an earlier age and this is where private treatment may come in useful.Not only can the person choose where there have their treatments, but they can time their visits and plan them into their everyday schedule. There are many private hospitals in the UK that can help screen for breast cancer using state-of-the-art equipment. The results may be sent to your GP as they would if they were performed in an NHS setting and treatments plans such as radiotherapy, surgery or chemotherapy can begin to take shape. Just because you have had the screening phase performed in a private hospital does not necessarily mean that you will receive your treatment in the same place. You may continue in the NHS if you wish. The inclusion of breast screening in your private health policy is a fact that will have to be discussed with each independent insurance provider. In the unlikely event that it is included, it will almost certainly heavily increase your monthly premium. As the NHS screening programme is now so thorough and worthwhile for it’s target age group, there may be little need for others to be screened hence the hefty rise in fee in the private insurance sector.Many private healthcare providers offer ‘wellness’ clinics which can help screen women and men for a number of conditions and advise on how to minimise risks. The NHS is now very adept at screening for diseases and tries it’s best to the public to be aware of their health, take responsibility for it and attend all given appointments. However for those who wish to extend this availability, the option of having it done in the private sector may be possible.